In their book, the authors point out that some 50% of South Africa is rendered economically unviable by the tax system, creating large scale unemployment and migration of the rural population to the crowded shanty towns surrounding the major cities. 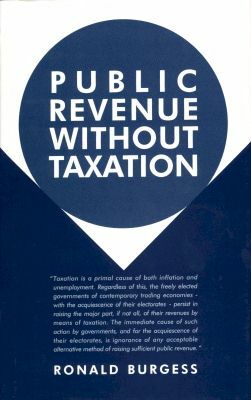 Apart from all the social problems created by this, the government is unable to raise enough revenue to pursue the promise made on the abolition of apartheid of buying up land to redistribute to the black population. There is growing frustration, particularly among the young, at the failure of government to deliver on a brighter future for all, leading to the formation of a new Marxist party, Economic Freedom Fighters (EFF). A taste of what could follow, were the EFF to replace the ANC as the government at the next election, was given in an open letter, published in the Mail and Guardian by the EFF’s self-styled ‘commissar for land and agrarian revolution’, Andile Mngxitama. He warned Sir Richard Branson, who had just bought a vineyard in the Cape, ‘that the EFF policy of land expropriation without compensation may, in the near future, affect your investment adversely’. 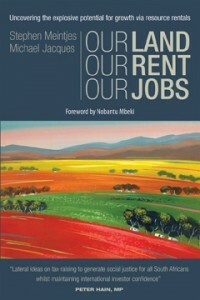 The authors of Our Land, Our Rent, Our Jobs put forward a way of reforming the tax system that would stimulate economic growth and create new employment, while at the same time making the redistribution of land easier to achieve, thus reducing the two major tensions within the country that could become explosive if not addressed. Read the full review here. 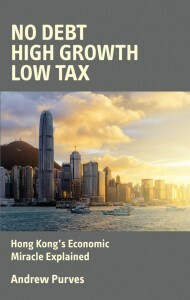 In his book, Andrew Purves reveals how an important ingredient in the success of Hong Kong and Singapore is the large amount of revenue the governments draw from the economic rent of land, thus making them less dependent on the plethora of conventional taxes which impede economic development elsewhere. Were South Africa to follow this path, as advocated in Our Land, Our Rent, Our Jobs, it too might enjoy high growth and low unemployment. 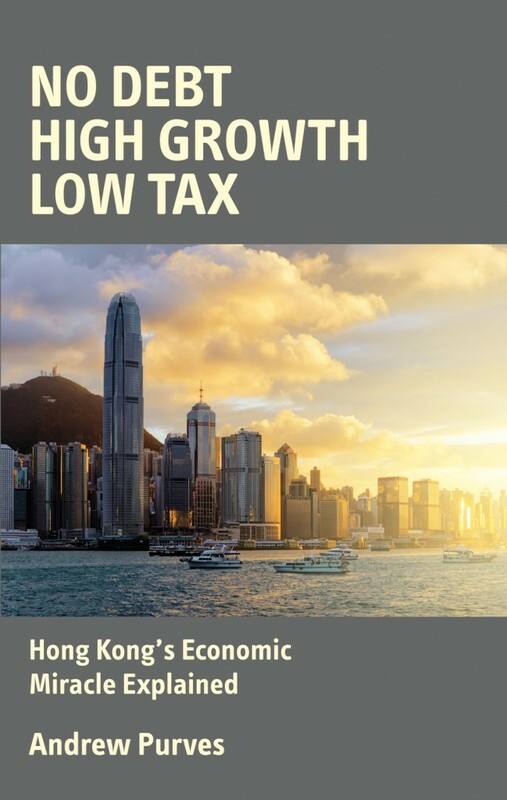 No Debt, High Growth, Low Tax ‘provides a few interesting examples of how Hong Kong managed to finance public facilities by charging rent on appreciating land values. One such example is the Mass Transit Railway, [showing] how these governments tackle public finances with a keen sense of business dynamics. The government leased the land for the railways to the Mass Transit Railway Corporation (MTRC) at “pre-development” prices, along with development rights on land above the stations. The MTRC built shopping centres, offices and apartments above the train stations – on which it collected rent used to fund the building of the railway network. As the development rolled out, the value of the land increased proportionately, as did the rental income.’ Read the full review here.